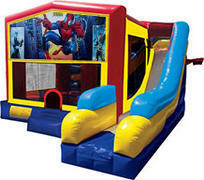 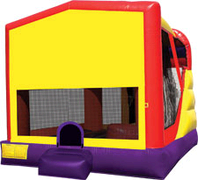 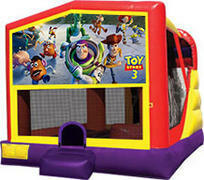 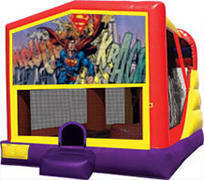 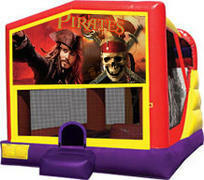 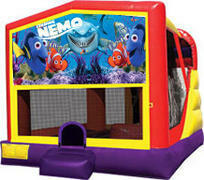 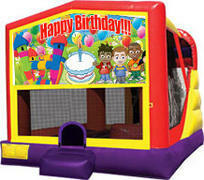 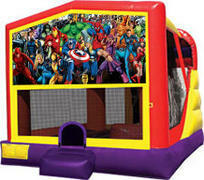 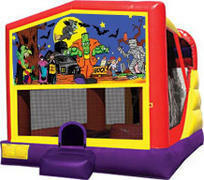 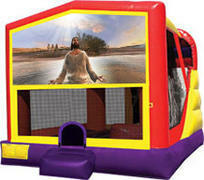 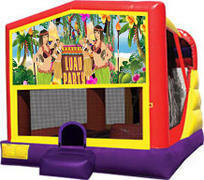 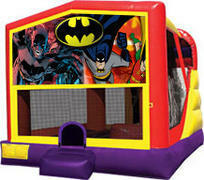 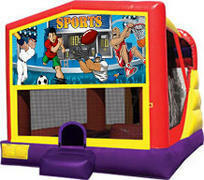 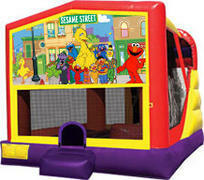 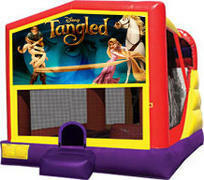 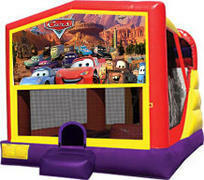 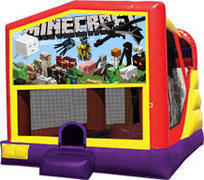 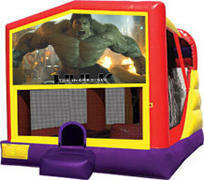 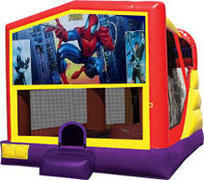 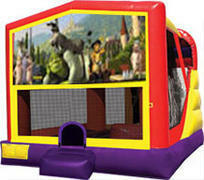 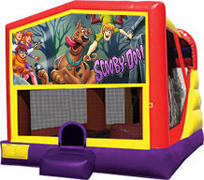 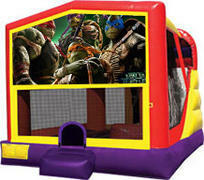 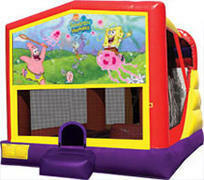 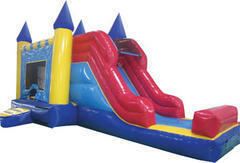 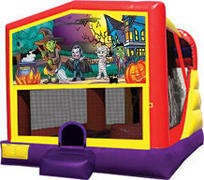 You'll the maximum value for your party rental reservation when you rent one of our bounce & slide combo bouncers. 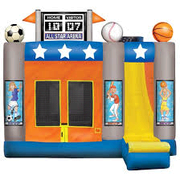 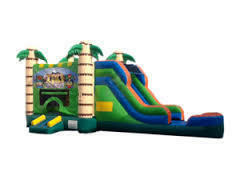 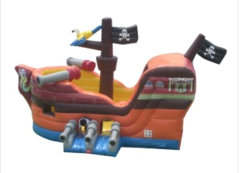 These exciting inflatable bounce units feature the popular bounce area, along with awesome additional elements like climb & slides, popup barriers, and basket ball hoops. 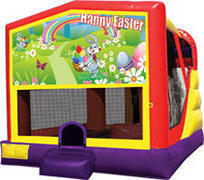 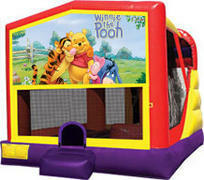 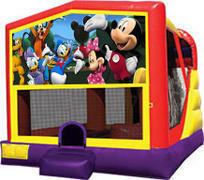 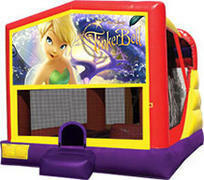 All of our combo bouncers are manufactured from "lead-free" vinyl and are cleaned and sanitized before every rental. Browse the selections below and click on the title or image for additional information and to make a reservation.